Age restrictions: Child ages 5-15. Children under 5 go free. Opening hours: Ticket Booth Times: Monday to Friday 10am - 4:30pm, Saturday (June to September) 10am to 4pm, Sunday (June to September) 10:30am to 3:30m, Saturday & Sunday (October to May) 10:30am to 3:30pm, Closed 25 & 26 December and 1 January. Pick up point: Please take your voucher/confirmation and credit card used for payment along with photo ID to the Ticket Booth at 11a Charing Cross Road, London, WC2H 0EP. From Leicester Square tube station, take exit 1 onto Charing Cross Road, turn left and walk past the Wyndham’s Theatre. Walk 100 metres towards Trafalgar square, the redemption desk is the downstairs area of the ticket information booth on the right hand side opposite the Garrick theatre. Important info: id="cke_pastebin">	Adults will receive an Oyster Card with a monetary value. Children will receive a travelcard.Children under 11 years of age may travel free of charge on the tube, buses, DLR and London Overground if accompanied by an adult holding a valid travel card.1 day travelcards (off peak) purchased with a 1 day London Pass are valid after 09.30am Monday – Friday and all day Saturdays, Sundays and Public holidays, on each day of validity and for any journey that starts before 04.30am on the day following the expiry date. Travelcards are issued subject to Transport for London standard terms and conditions. The London Pass is not responsible should there be any failure in transport provision.In order to gain entry to each attraction you must present your pass at each venue. The London Pass entitles the holder to admission to selected visitor attractions listed in the London Pass guidebook, which you will recieve when you collect your pass from the Ticket Booth. Available for either 1,2,3,6 or 10 Days making it easy and affordable by giving access to the top sights in the city with one card. 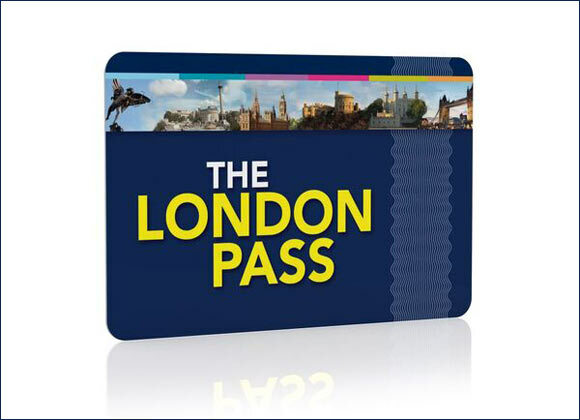 The London Pass is valid for consecutive days only, not 24 hour periods, and is activated by scanning the card upon entry at the first attraction. Another great benefit of the London Pass is that it allows you to skip frustrating queues at a number of attractions. Look for the London Pass signs and show the attendant your valid London Pass to jump the line. What is included:• Free entry to over 60 attractions, tours and museums• Fast Track Entry – skip the lines at selected attractions to save time• Free Hop on Hop Off Bus Tour to explore London with a 1 day ticket• Over 20 exclusive special offers. You're securing a better price booking your attraction and hotel together!